I love anything these two authors put together. Guaranteed action-adventure, and plenty of suspense, maybe a sprinkle of love thrown in to keep us on our toes. Controlling the weather, blowing up Washington, fighting the “evil” twins, some great twists and turns and a fantastic read. Hope you enjoy it as much as I did. 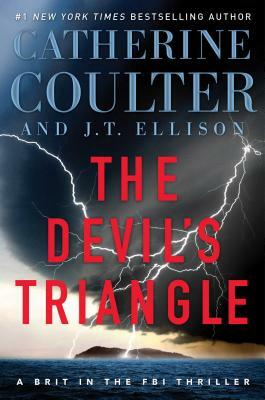 "Coulter and Ellison are really on an amazing roll with their outstanding A Brit in the FBI series. Wildly creative and twisty plots that take readers on crazy rides around the world are anchored by a core cast of unforgettable characters. Another element that has been great in this series is the developing relationship between Nicholas Drummond and Michaela “Mike” Caine. Thrillers do not get better than this!"